Very striking long narrow stud earrings. They're made from Magenta/Purple/Teal textured Dichroic glass. The colours shift across all three colours in the light. 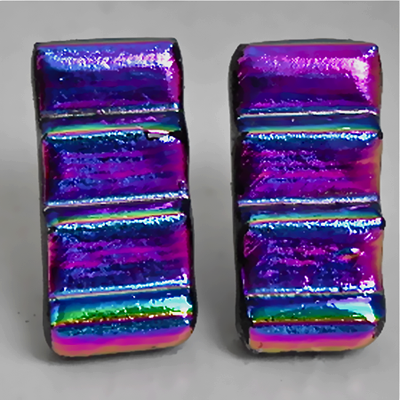 They measure 0.8cm x 1.8cm and are made of a layer of heavily textured Magenta/Purple/Teal Dichroic glass with a Black stripe.